Let’s face it, water fountains are fun, cool and relaxing. 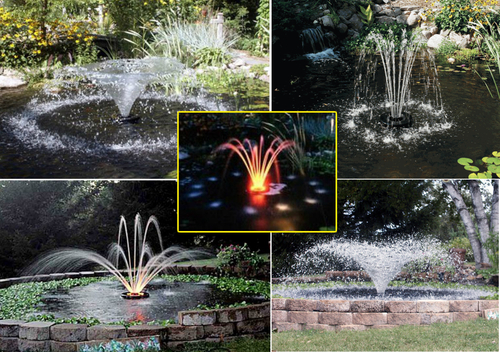 It’s a great way to add tranquility to your waterfront area and whether it be a lake or pond, a fountain is not only relaxing to hear but is a joy to look at as well. 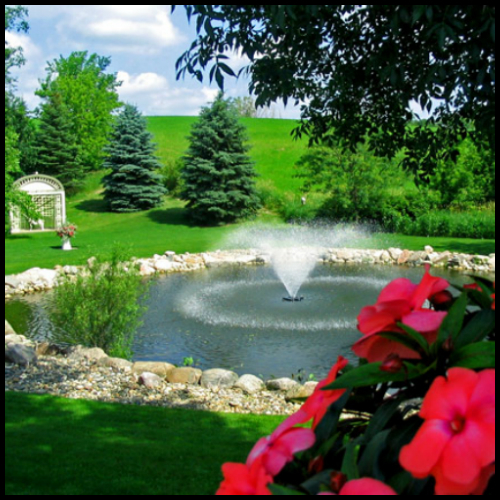 We here at Weeders Digest break down all the wonderful benefits of having a lake or pond fountain. When there is a lack of oxygen in your lake or pond, bottom sediments release gases that can cause water quality problems. Proper aeration brought on by a water fountain allows for many of the factors of poor water quality to be mitigated. Fountains and the aeration process of adding oxygen to your body of water help starve out the nutrients that algae need to grow and prosper. The aeration caused by fountains also effectively mixes algae spores into the deeper parts of the lake or pond so that they will have less available sunlight and time to grow. Fountains assist in the process of moving the water from the surface with the bottom. The water towards the bottom becomes oxygenated through the aeration brought on by the fountain. This process allows the hydrogen sulfide gas that collects at the bottom of lakes and ponds to be greatly reduced. 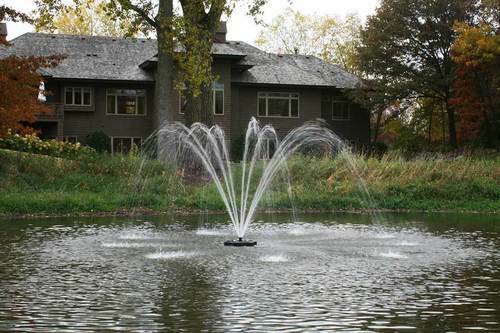 Fountains and the aeration process they assist in creates a healthy ecosystem in your lake. By improving the oxygen levels both at the top and the bottom of your lake or pond, fish life and other aquatic organisms can thrive and a healthier habitat for your body of water is created and maintained. Mosquitoes require still water conditions for their eggs to develop. 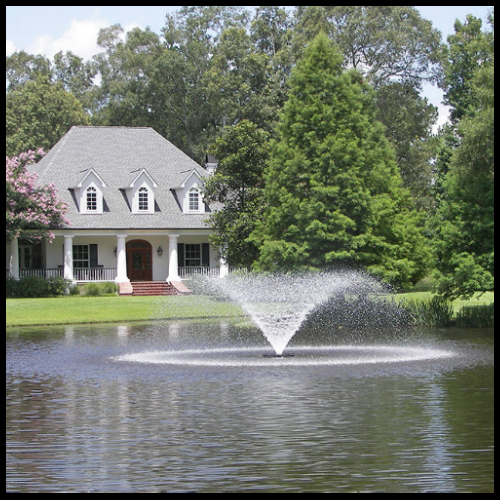 A fountain will create a constant flow of water in your lake or pond, helping to reduce the viable mosquito breeding habitat and acting as a natural and sustainable mosquito control solution. Organic matter decomposes much more slowly under low oxygen conditions which can lead to a buildup of bottom sediment in your lake or pond. Proper aeration by the use of a fountain will help reduce the overall accumulation of organic sediment, potentially prolonging or preventing the need for future dredging. Aeration brought on by a water fountain is a valuable tool in the management of your water quality. Not only is it a wonderful feature to add for the sights and sounds it adds, but it is an essential part of many lake and pond management programs.